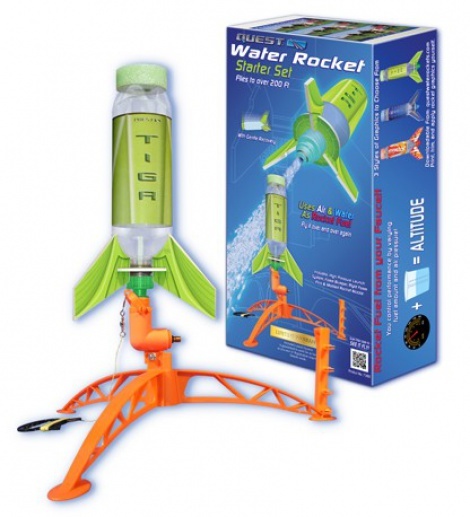 Designed by the leader in water rockets, the Quest Water Rocket system is engineered to amaze you, and is designed for hours of fun and education. Readily available launch sets and extra parts will keep you flying for hours. For assembly, the unique Rigid Foam Fin system requires a "Low-Temp" Hot Melt glue gun for quick application. White glue will also work but allow for drying overnight.